The Rock School was founded to provide a school where parents could send their children to receive an excellent academic education while still teaching them the morals and values of the Christian faith. For more than 20 years, we have faithfully instilled within our students both the knowledge and character needed for success in college and in life. As you walk the halls of our school, you will find a quiet, professional environment. Yet, within this structured setting, you will discover a family-oriented community of teachers and students, where mutual love and respect extend beyond the four walls of the classroom. It’s not uncommon to see a teenager high-five a second-grader in the hallway, and most elementary students know the names of our high school seniors. The Rock School is committed to helping our students develop a Biblical worldview. Beyond their personal faith in God and His plan for salvation, there is also a real need to teach the next generation about God’s plan for every area of life and society: government, finance, family, charity, community, and more. To raise a generation that will live biblically, think critically, act responsibly, lead righteously, work cooperatively, communicate effectively, and become lifelong learners. The Rock School is distinctively Christian – everything that we do and teach is rooted in the Christian faith and founded upon God and His Word. The Rock School is a community of grace – we go beyond just rules and consequences in order to reach the hearts of our students and inspire faith-based transformation. The Rock School is responsive – we strive to exceed expectations and provide a positive school experience for every student and parent. The Rock School is forward-thinking – we value innovation and strive to discover the best practices for student learning. The Rock School is purpose-driven – we lead, serve, and teach with great passion because we are confident in what God has called us to do. We work to cultivate that same passion in every one of our students. The Rock School is a people with open arms – we love people and gladly welcome others into our school family, both from within our local community and from all the nations of the world. The Rock School is a safe haven – we provide an environment where students are protected both physically and emotionally, and provide a loving atmosphere where they can grow into the person God has called them to be without fear. We value hard work and a commitment to the best in all areas. That’s why students receive opportunities to grow in academics, character, leadership, service, the arts, athletics, and their Christian faith. 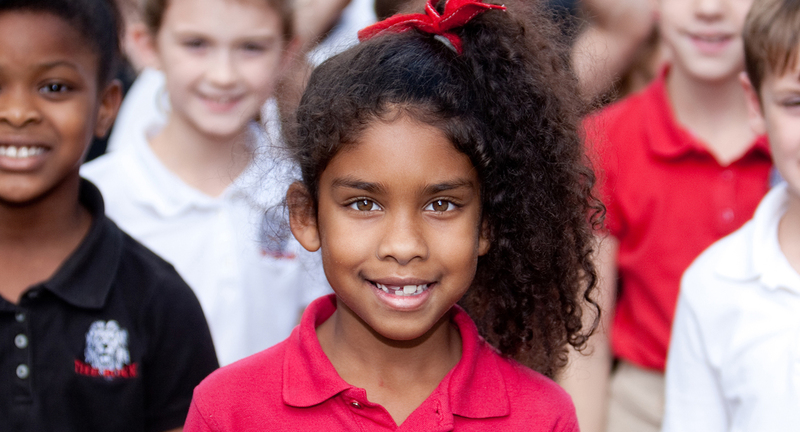 We believe in educating the whole child… mind, body, and spirit. Our staff are veteran teachers with college degrees, nearly half of whom have been teaching here for over ten years. With the ability to coordinate curriculum and instructional material from elementary through high school, students are guaranteed a seamless education as they transition through the different levels of our school. We believe that we can be no more than the sum of our parts. We value the partnership of the parents, students, and teachers who work on behalf of our school community. Together, we’re committed to meeting the individual needs of every student, exactly where they’re at. We welcome you to visit our campus and see for yourself. Simply call the school office at (352) 325-8994 to schedule your appointment. You are welcome here.